When I teach Yoga 101 workshops, during Yoga & Self Care Retreats and private sessions I design a unique yoga journal for each student as a tool to begin or deepen a yoga experience. Taking a moment after your practice to put ideas and revelations that arise in writing can be essential personal growth and the growth of your practice. You can experience a greater sense of well-being and personal growth with journaling. Try these tips and ideas to help you get started. How to make yoga journaling a habit? Make yourself a priority! Give yourself a little extra time after your practice to journal. And, yes, you’re worth it. Choose a journal that fits your personality. Here are some ideas: commercial journals, notebook, blog, text document on your computer or a simple piece of paper. Don’t worry about the fact it’s not the beginning of the year, a new month or a new day. Start today. 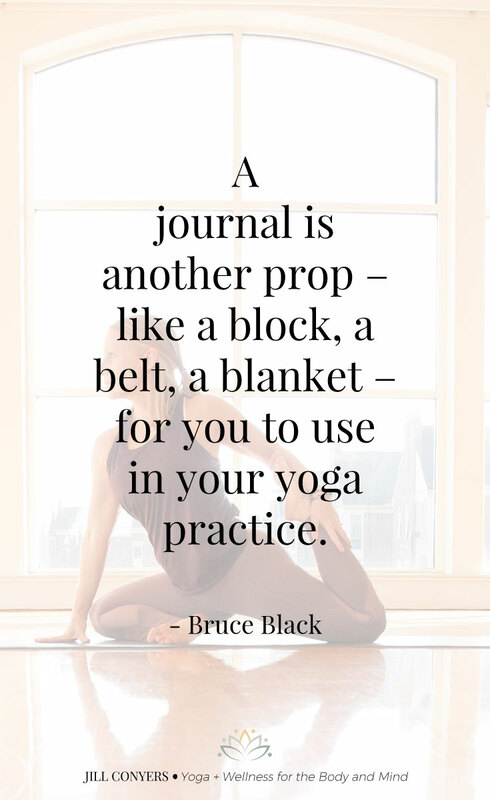 Keep your journal easily accessible close by your yoga mat. Make journaling a regular part of your yoga practice. Even with regular journaling everyone experiences writer’s block. Keep a list of journaling prompts close by to jumpstart your creativity and ideas. Your journaling does not have to be prolific or profound. Focus on the content of your words, not how they’re written. Do not edit. It’s unnecessarily time consuming and overthinking can get in the way of what our intuition is telling us. Keep in mind your writing is only for you. Consider where you write and where you keep your journal for privacy. Was your practice at home or a studio? How did I feel before the practice? Consider physical, mental, emotional, and spiritual feelings. Which asanas did I have difficulty with? Which asanas feel stronger and come with more ease? How did I feel after practice? Consider physical, mental, emotional, and spiritual feelings. What did I learn? Maybe you tried a new asana, pranayama, or vinyasa sequence. Perhaps you gained a new perspective or insight about yourself. Strengthen mindfulness– take time to stop and truly enjoy the moment. Document the details of thoughts and feelings that you experienced during your practice. Yoga off the mat– contemplate how you can take what you’ve learned from your practice and apply it to day-to-day life. How has my practice changed, grown or deepened? This could relate to knowledge, asanas, self-understanding, goals, etc. Explore specific about how your body felt during the practice. Taking notes of your progress as well as keeping track of all your thoughts and ideas as you get better at yoga is extremely helpful, both mentally and physically. Ooooh these are great tips for journaling. I am yet to develop this habit, though I like yoga and do on almost a regular basis. I really need this. Thank you for the share..I also think writing down will really help. Interesting, I wouldn’t have thought about creating a journal of my exercise. It would help to keep track of what you do since life can get really crazy. Oh I love this! What a great way to expand your practice. Can’t wait to give it a try. Oh I love this! Can’t wait to give it a try. Oh I so need this, I’ve been trying to incorporate yoga, but I’m still lucky if I can squeak out a 5 minute mediation, let a lone a yoga sequence. This could definitely help! I truly need this. Have been off and on yoga for many years and keep saying I need to start back. Hope I do soon! I have never tried yoga or journaling. Maybe I will have to give it a go! This is a great idea and also simple enough to follow. I will try to do this for my yoga schedule. 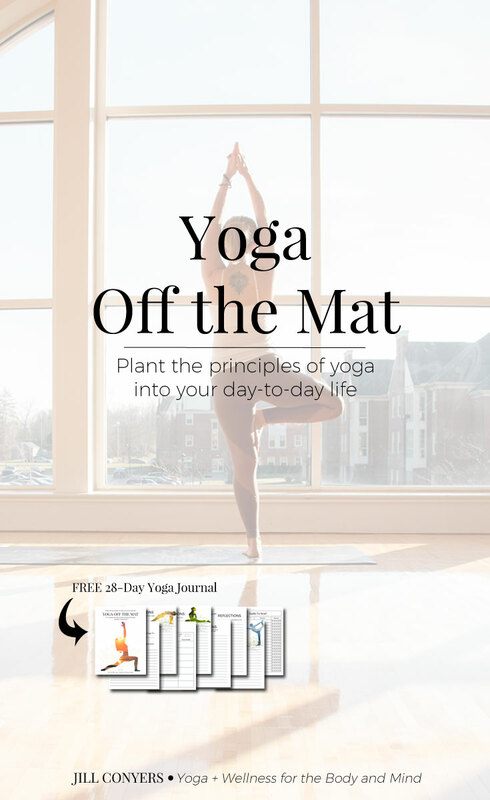 I love the idea of a yoga journal! I also think that writing it down will make me motivated to practice more often. Thank you! I like the idea of journaling. I think for those that practice yoga, journaling about their experiences will help them to grow in their yoga experiences. Oooh this is a great idea. Will definitely share with my yoga friends.